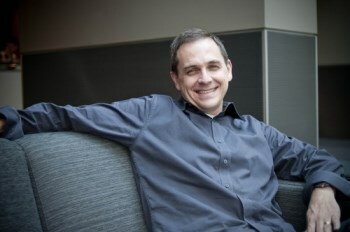 Microsoft Corporate Vice President Marc Whitten says he's "not sweating" the looming launch of Steam Machines because they're fundamentally different than consoles. The major players in the console wars have remained more or less constant for so long that it's hard to imagine a new player coming along and changing the balance of power. That's exactly what Valve appears threatening to do with Steam Machines, its PC-powered living room gaming gambit that's backed by partnerships with more than a dozen different manufacturers who will make rigs ranging from $500 to more than $5000. Yet while Valve has a way of making things happen, Whitten, Microsoft's chief Xbox guy, told Engadget that he doesn't feel threatened by the new kid on the block. "I personally don't know how to think about Steam Machines yet," he said. "I'm not knocking it or whatever. I continue to think that PC gaming -- the sort of uber configuration and I can change everything and I can mod -- that's an important thing and there's a lot of people that wanna do that." But the living room is a different sort of environment, one that eliminates a lot of advantages the PC holds over consoles. "When you get into that living room environment, you don't want to spend any of your brain cells doing anything but being entertained. I don't want to work on it; I don't want to feel like I have to know how it works. I would like to be blowing things up now, or watching a thing now. That's the fundamental thing that you want to do," he continued. "I think there's space for both. I'm not sweating it." As a long-time PC gamer, I can see where he's coming from. We've come a long way from setting IRQ jumpers and needing to know the difference between Extended and Expanded memory, but PC gaming is and always will be more demanding than playing on consoles. And while Valve initially appeared to be positioning Steam Machines as a turnkey solution for the living room -- essentially a Steam console -- everything we've seen so far indicates that they're just PCs with Steam OS installed. Maybe there's more to it than meets the eye, but maybe Whitten has a good reason not to be worried, too.